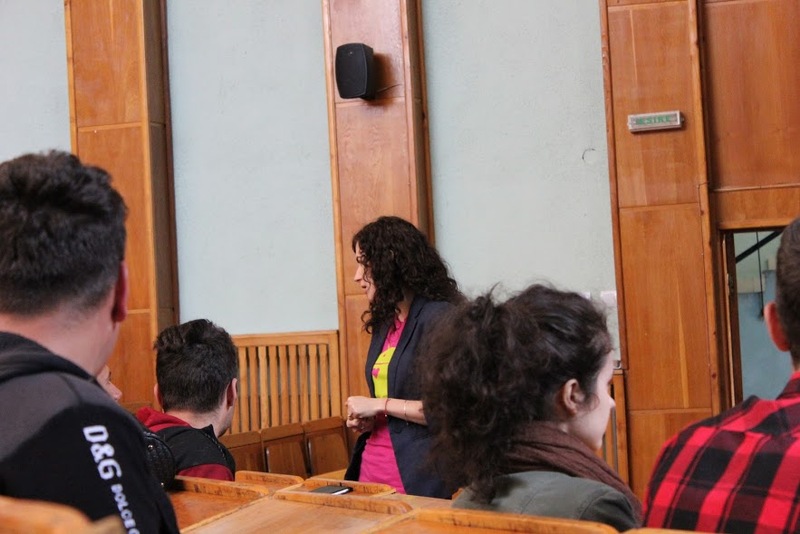 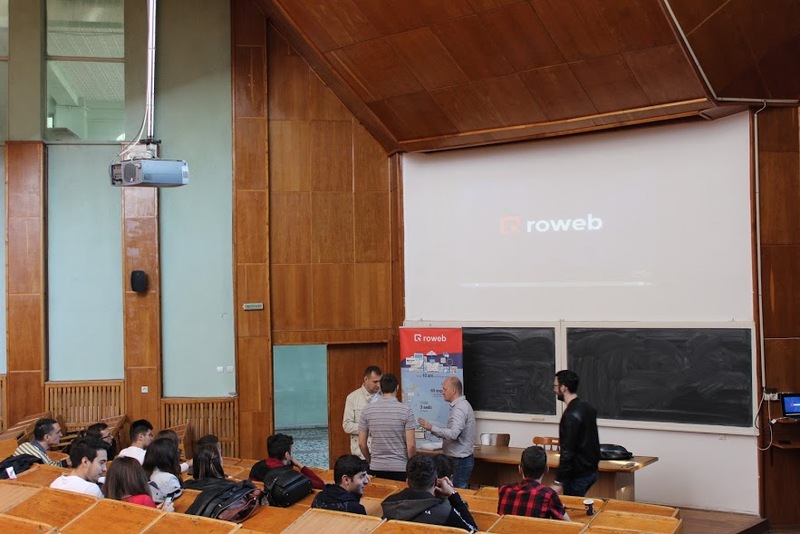 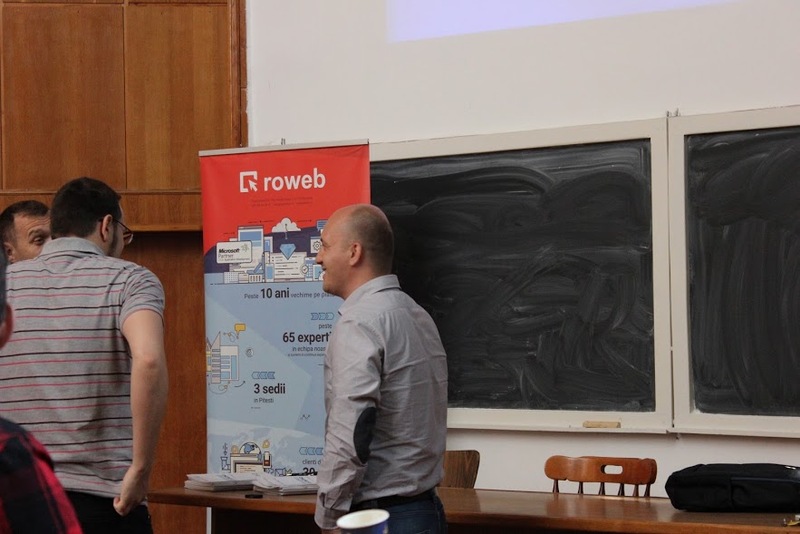 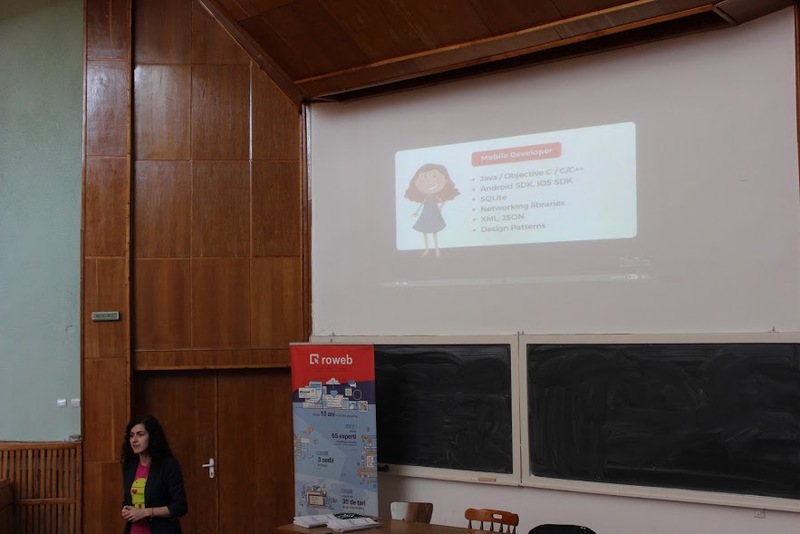 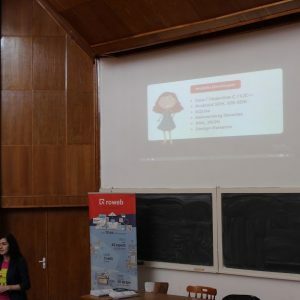 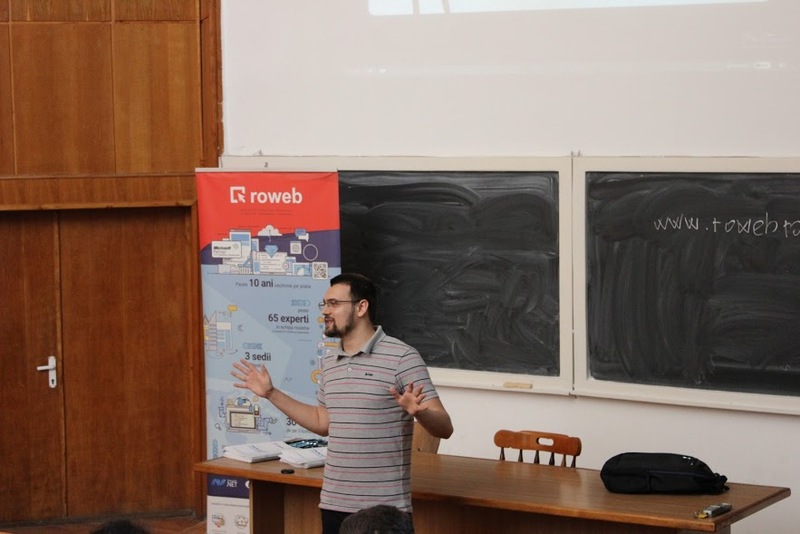 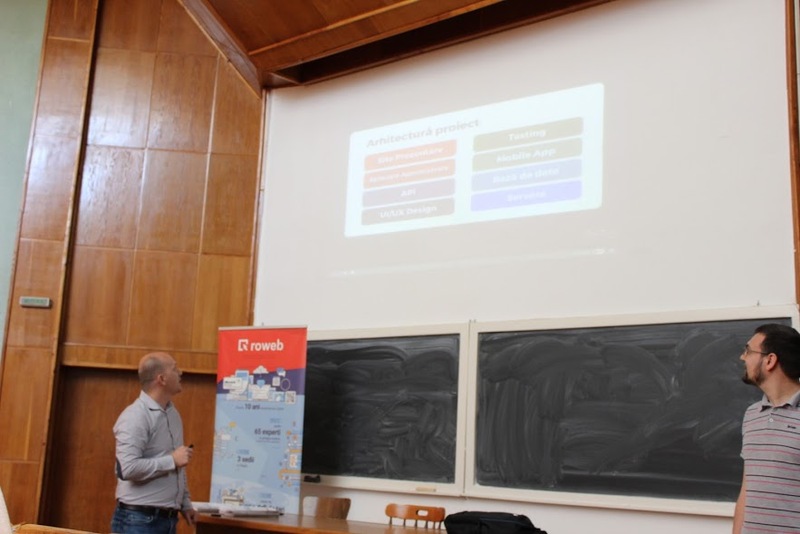 Roweb Connect Day at Craiova University - 2nd Edition! 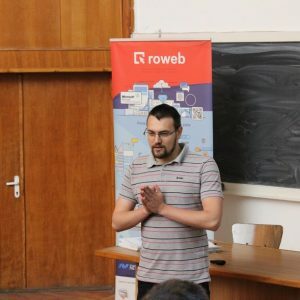 This entry was posted in News on May 22, 2017 . 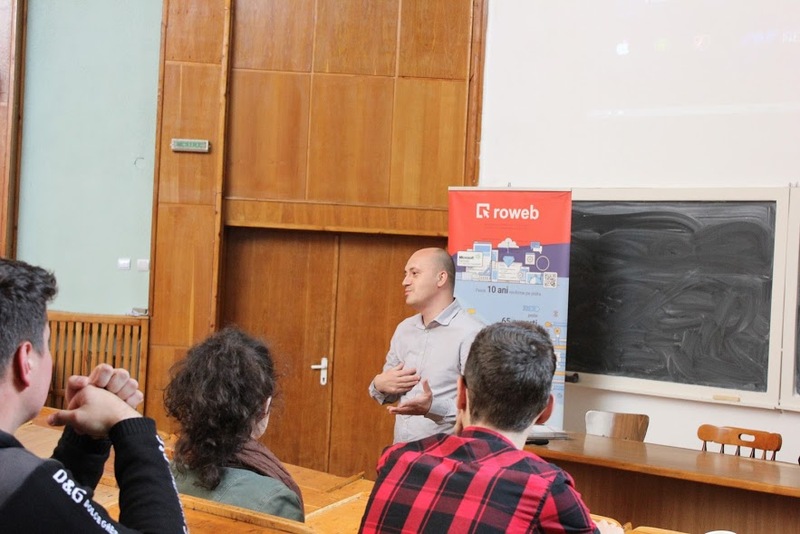 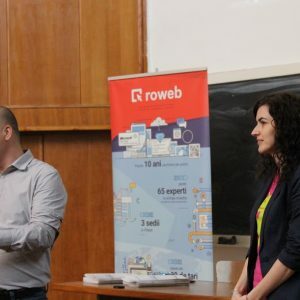 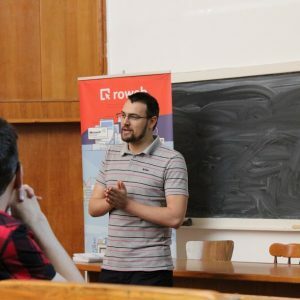 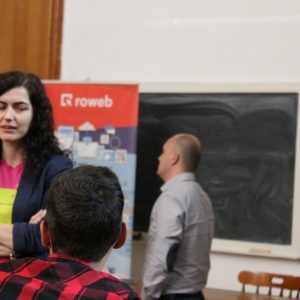 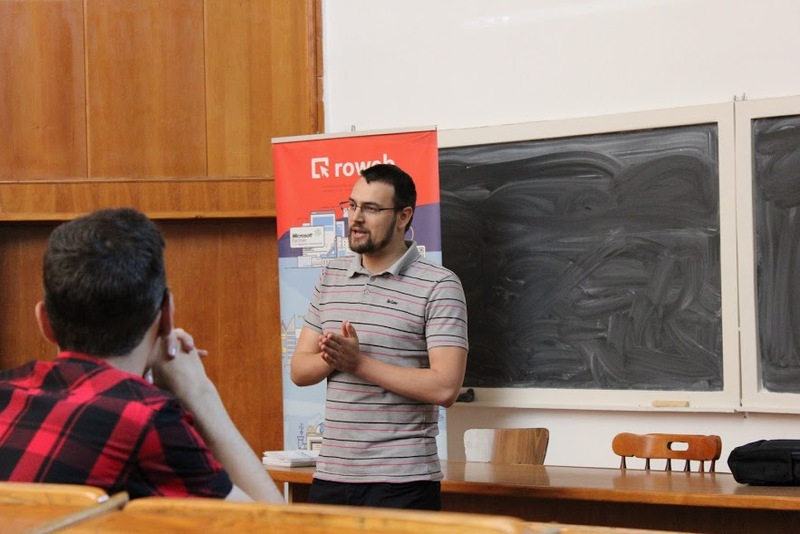 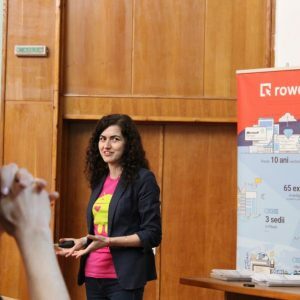 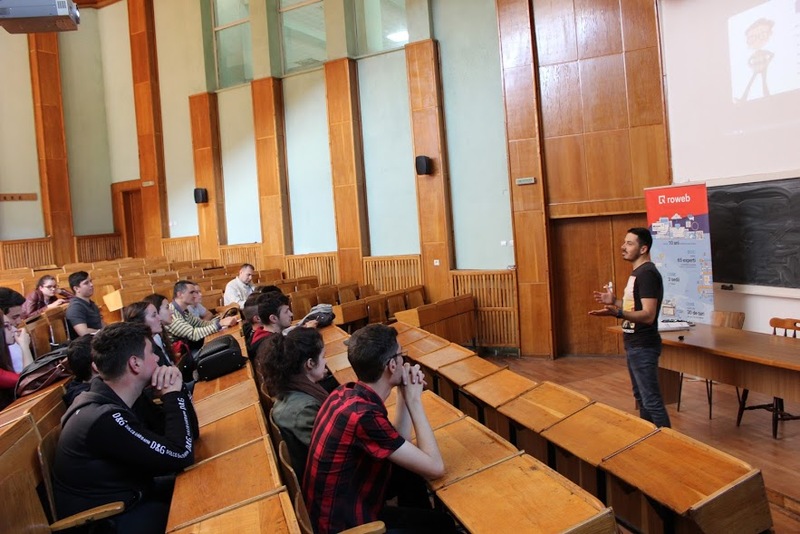 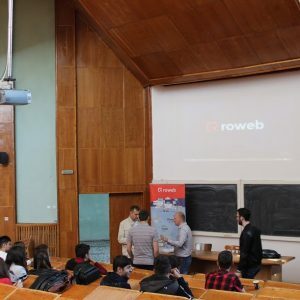 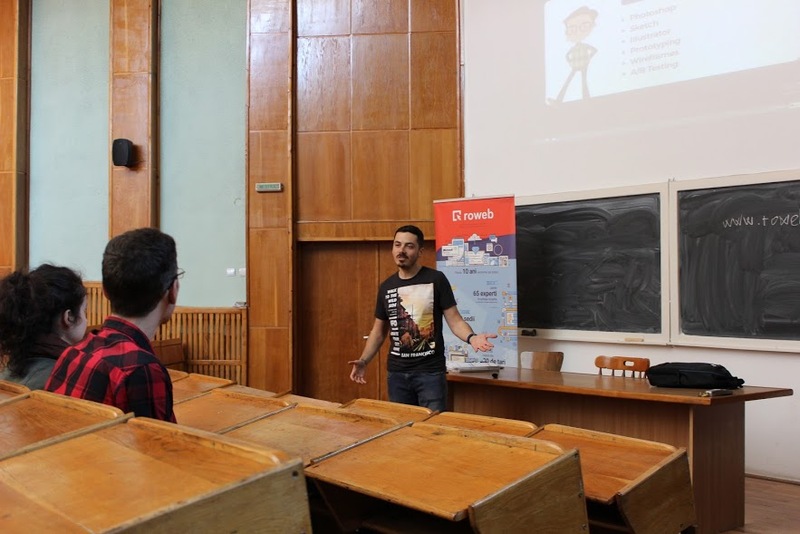 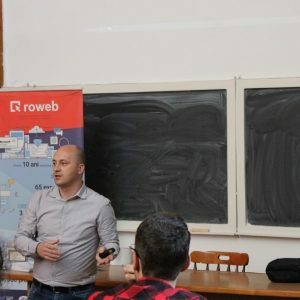 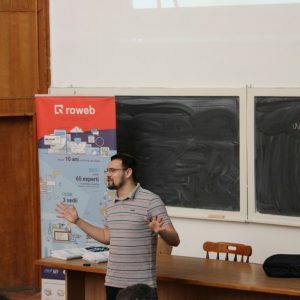 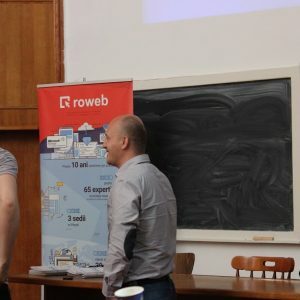 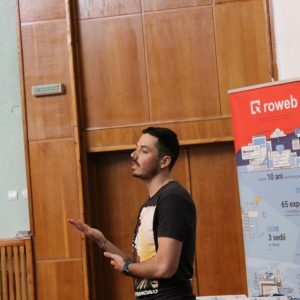 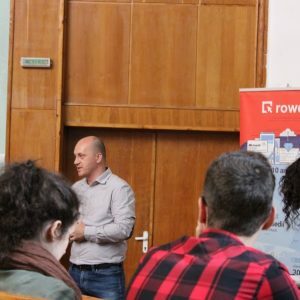 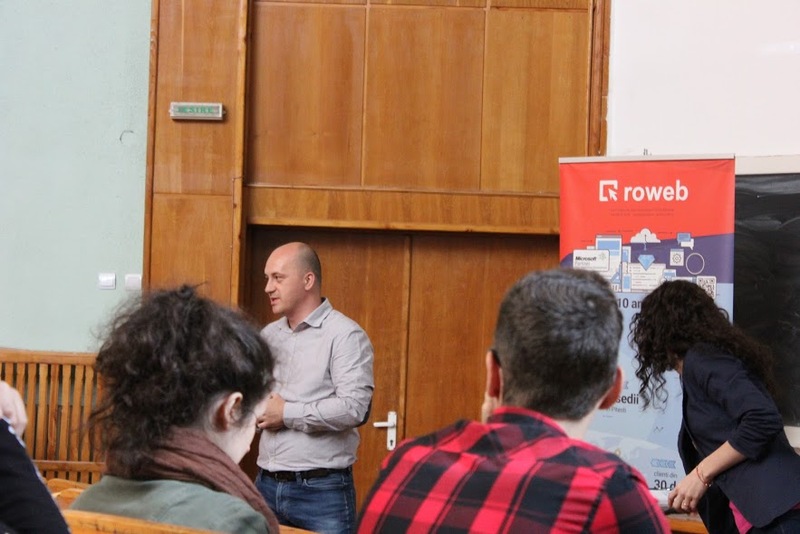 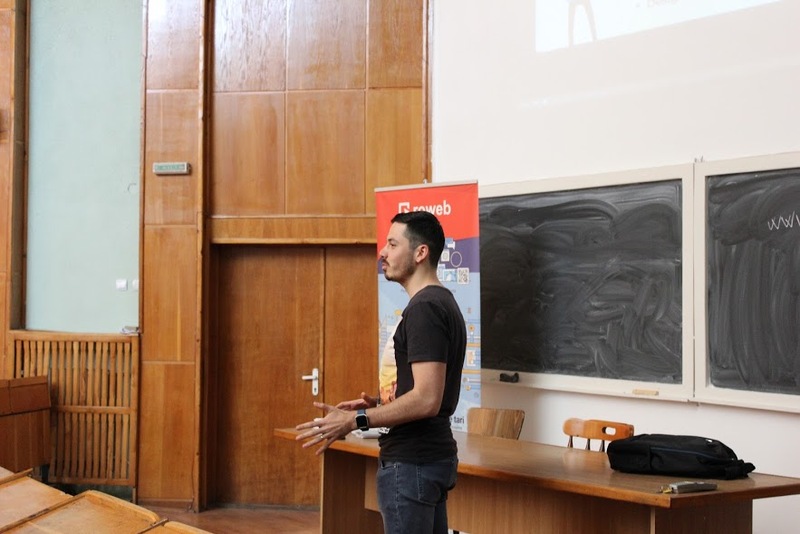 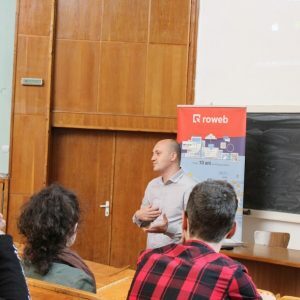 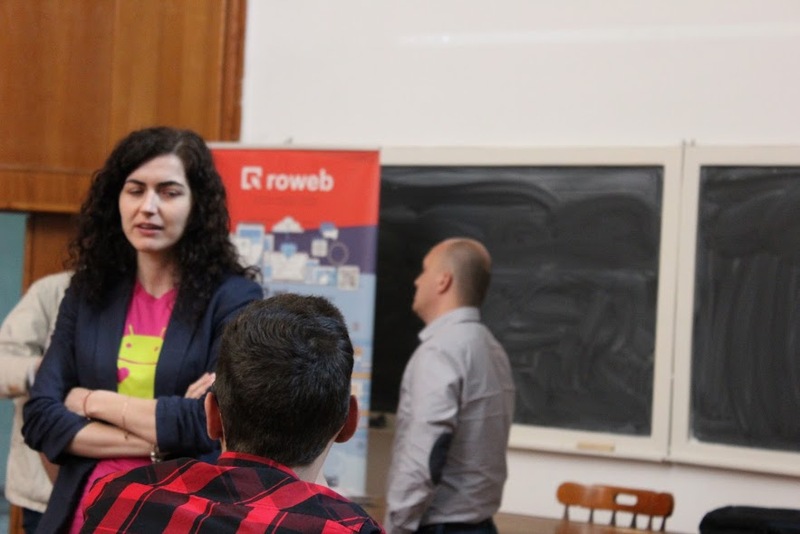 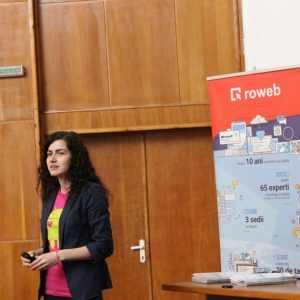 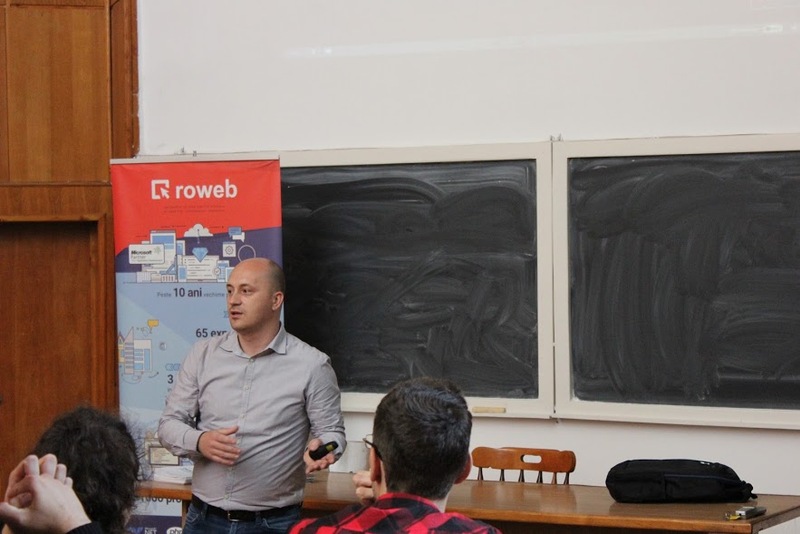 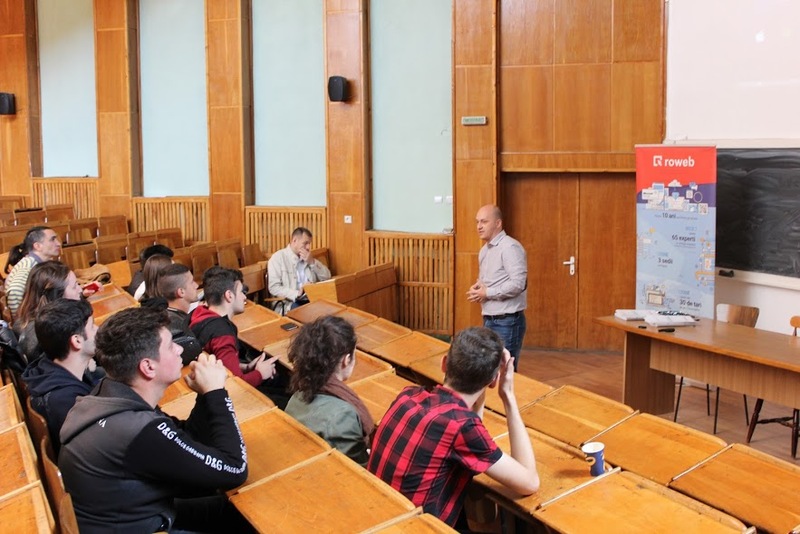 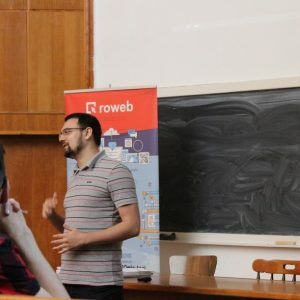 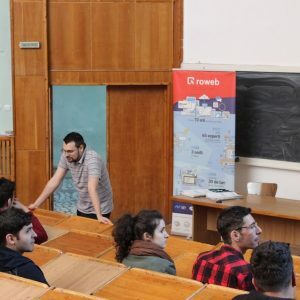 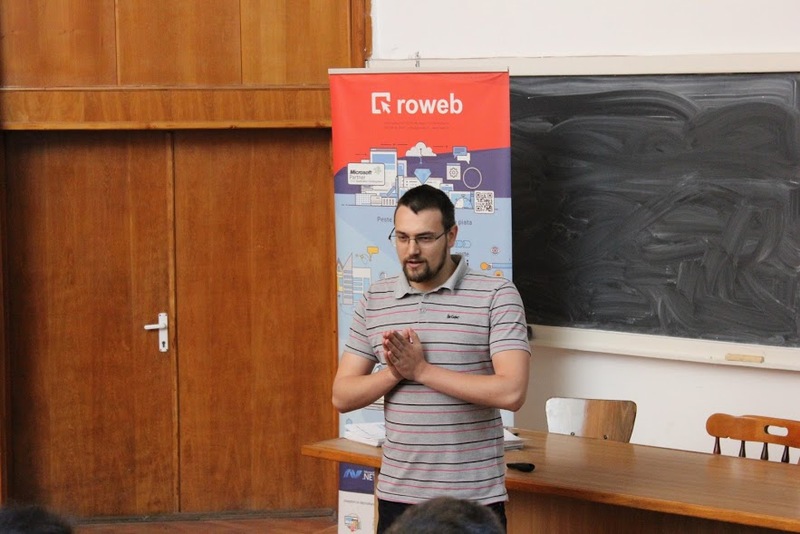 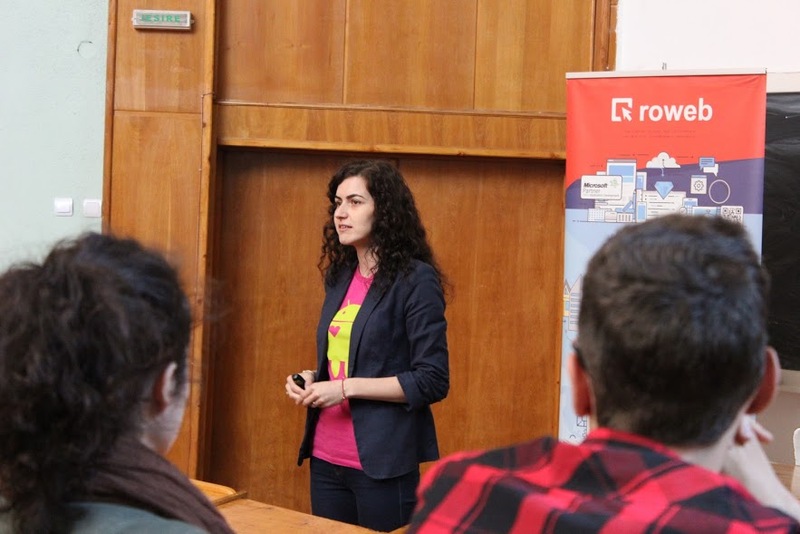 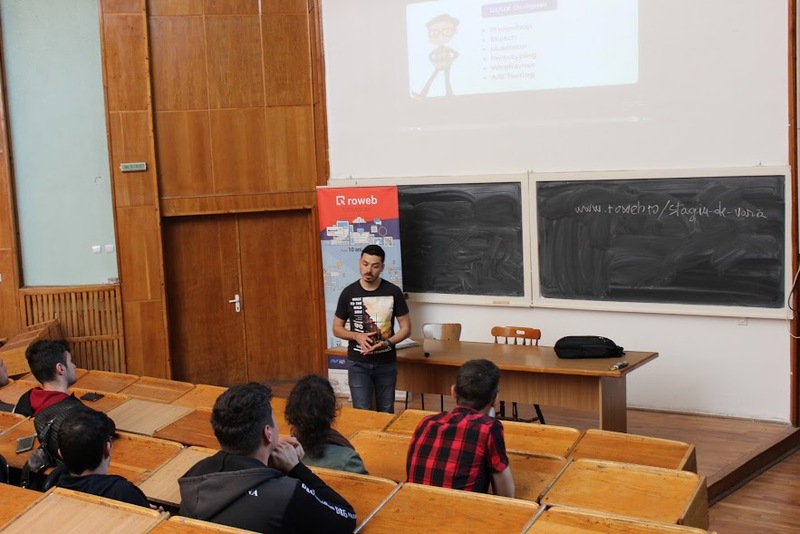 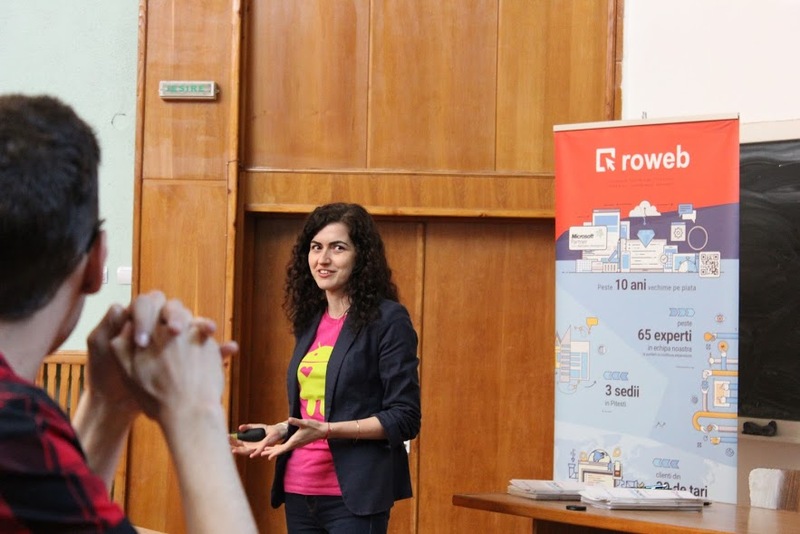 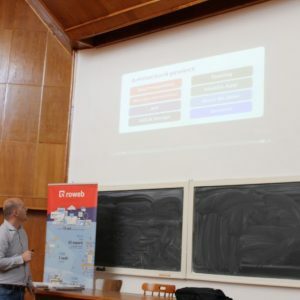 The 2nd edition of Roweb Connect Day in Craiova was a success! 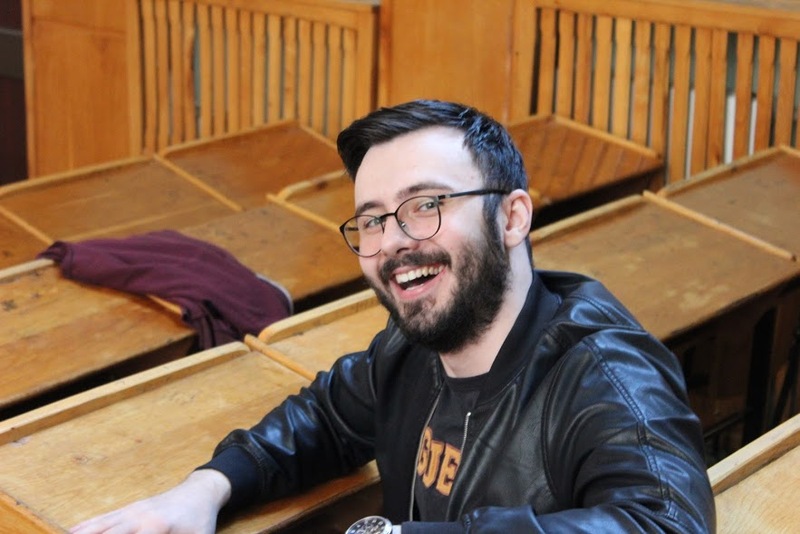 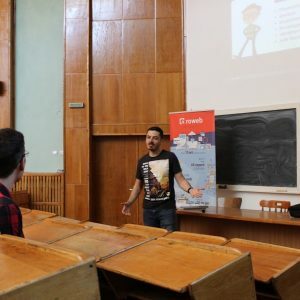 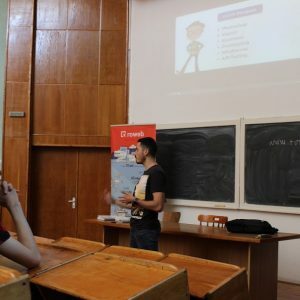 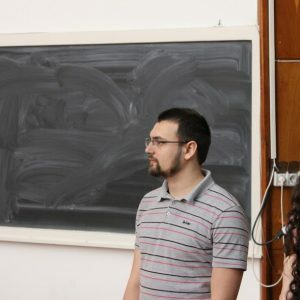 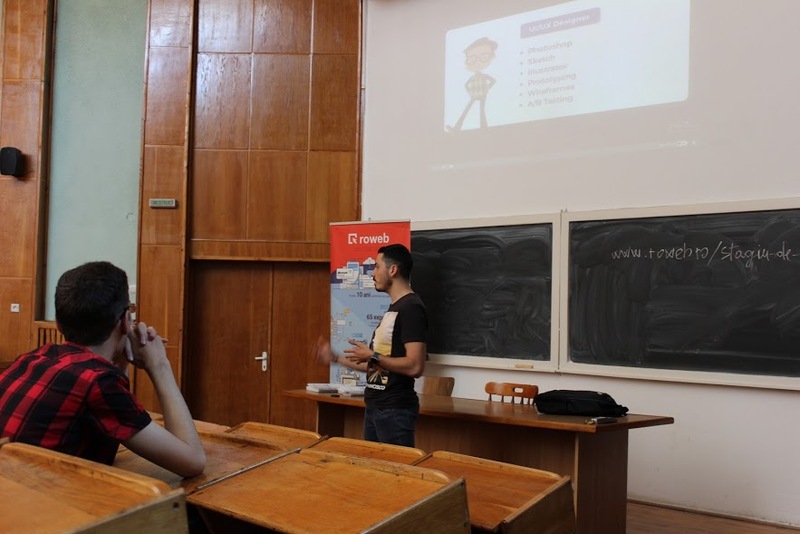 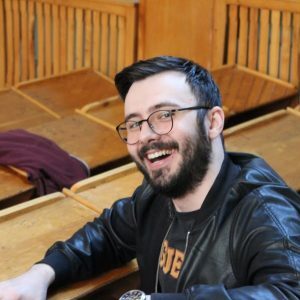 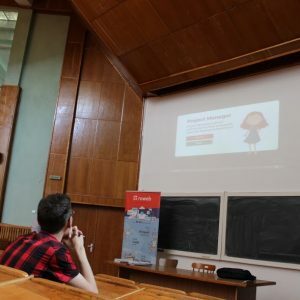 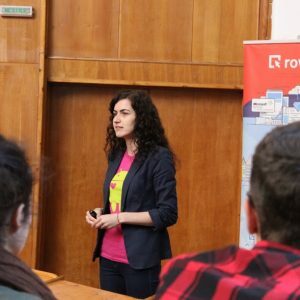 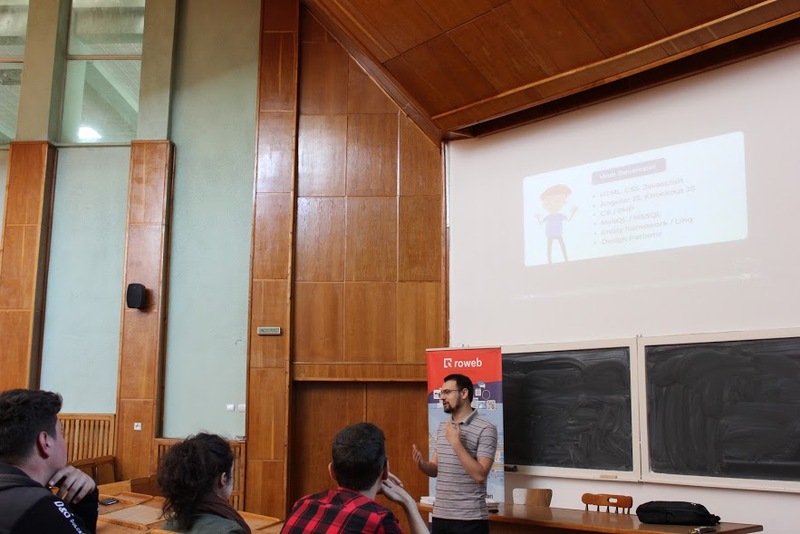 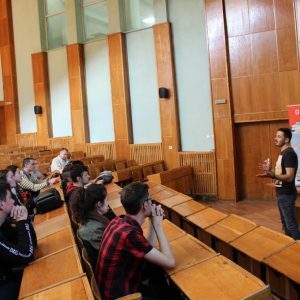 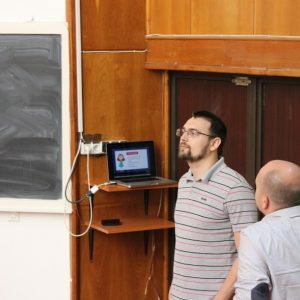 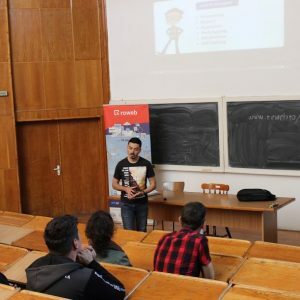 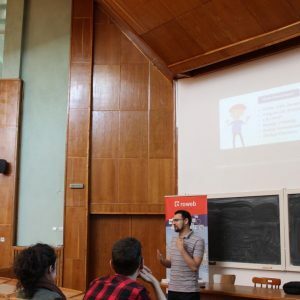 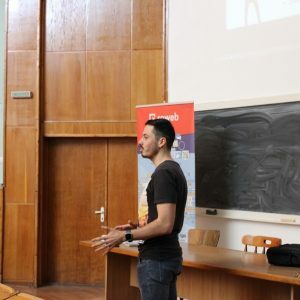 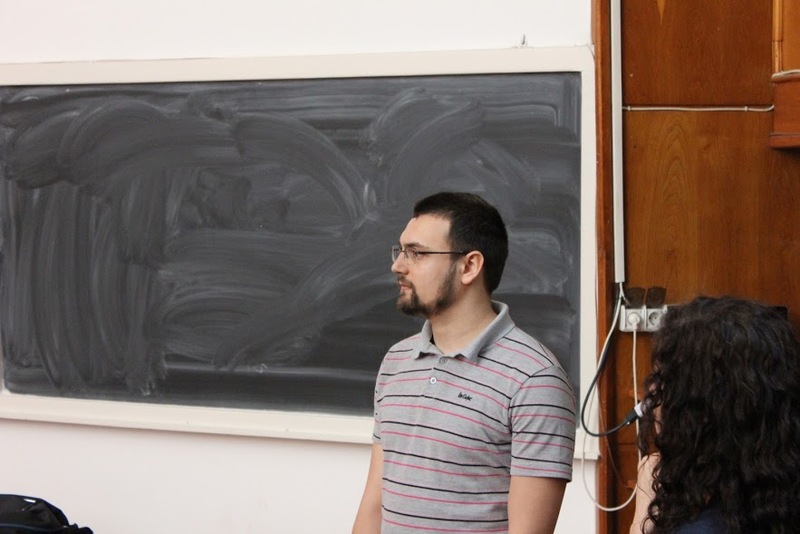 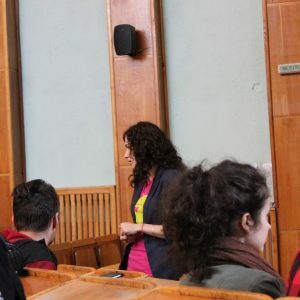 We were invited to give a presentation at the Computer Science Faculty at the University of Craiova, as part of a series of events meant to connect students to potential employers. 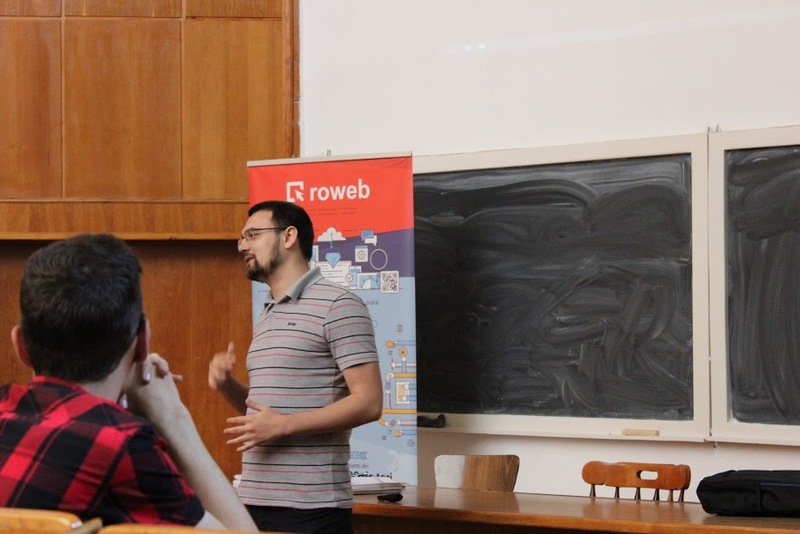 All the attendees were very enthusiastic and interested in the opportunity to intern at Roweb this summer. 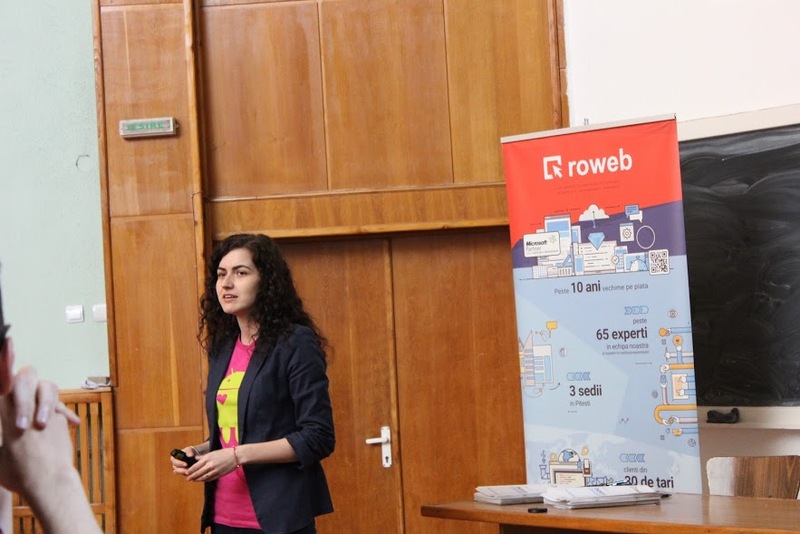 For the first time our Summer Internship Program will be available not only in Pitesti and Bucharest, but at our office in Craiova as well. 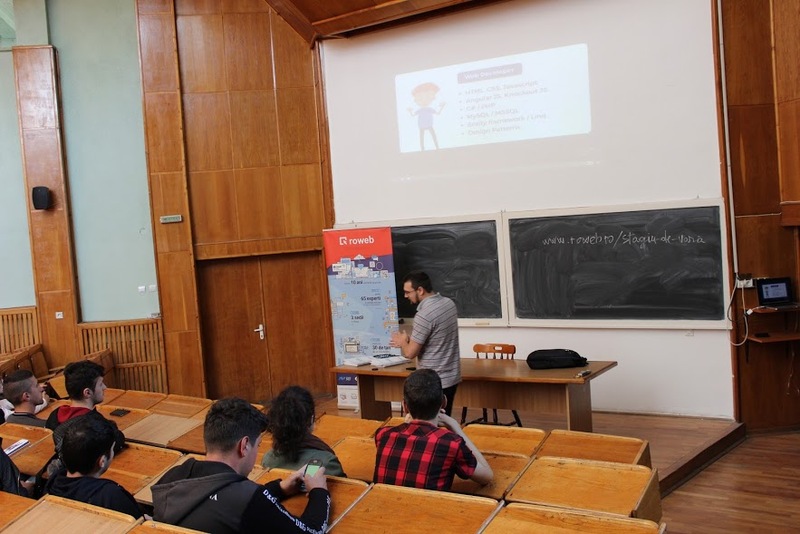 After our presentation, all of the attendees emailed us to apply for the web development internship in Craiova. 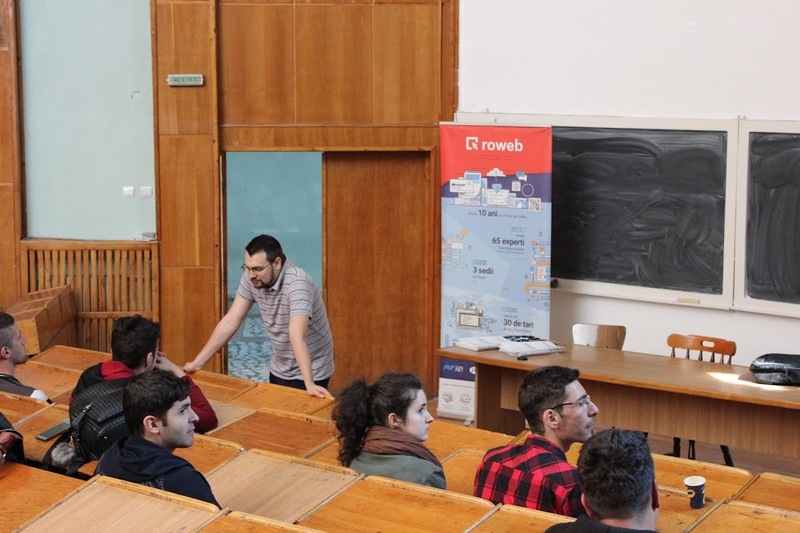 The students also wanted to learn about career opportunities at Roweb and about the way we work. 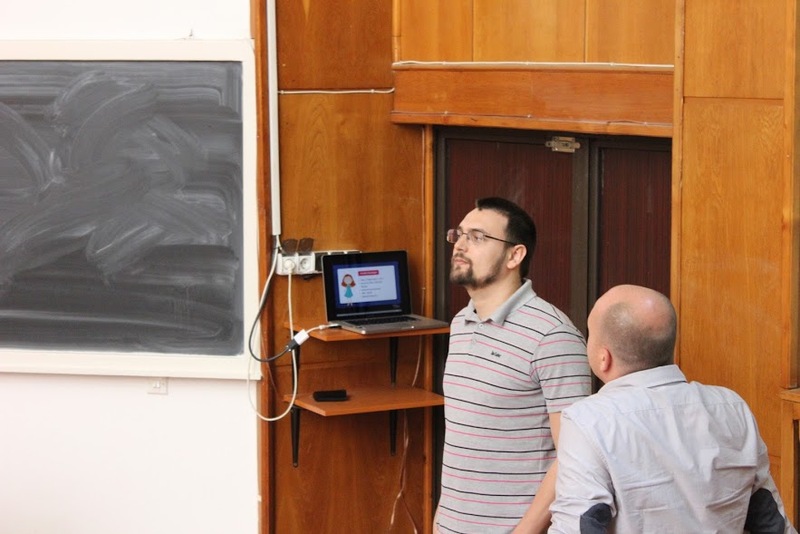 We had 4 speakers, representing different departments: mobile development, web development – PHP and design & UX. 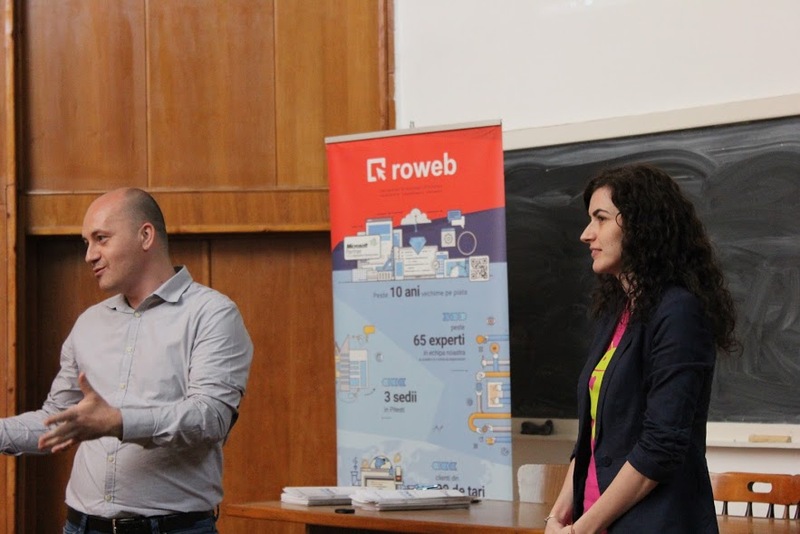 Each of them told the students about their background, how they started working at Roweb and what their current role involves. 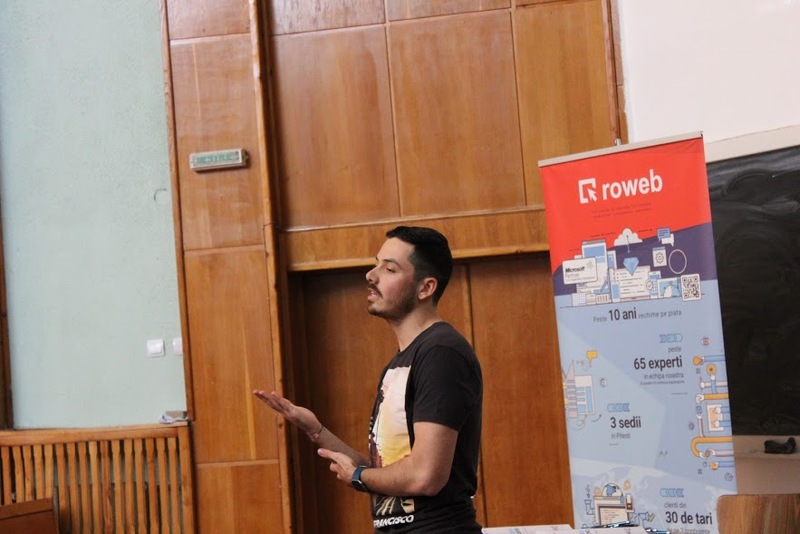 Our presentation showcased a typical software development lifecycle at Roweb, with every step of the process and team roles involved in a typical project, from the first meeting with the client until we launch the product, covering the project architectures and how we adhere to the project requirements, budget and deadlines. 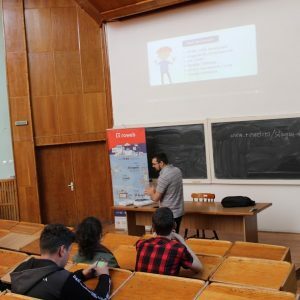 We presented the opportunity that they’ll have this summer, to learn about PHP development from our experts at the Craiova office, and that the most talented will then have the chance to join our team as full-time employees. 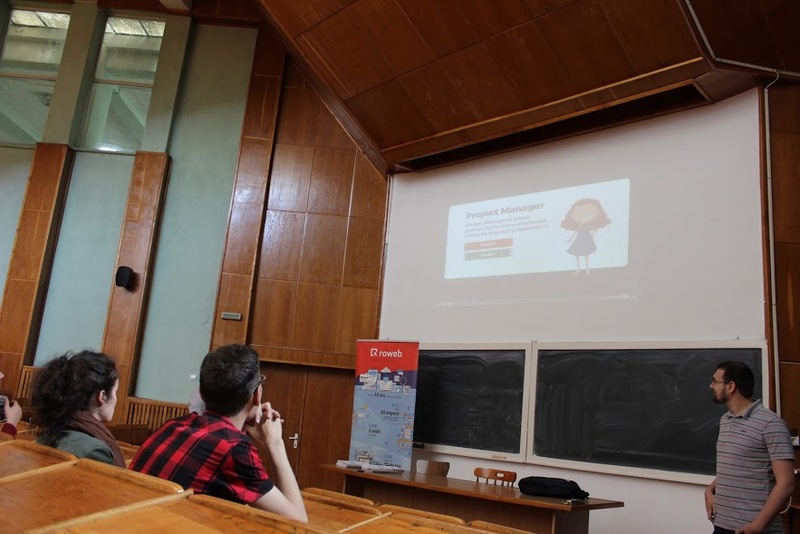 We were very happy for the chance to meet these young programming enthusiasts and we’re looking forward to sharing our knowledge and experience with them this summer!